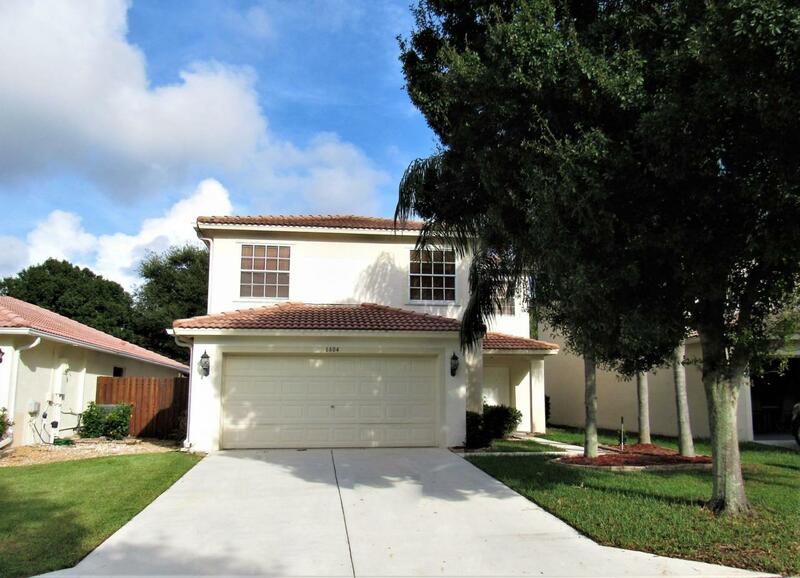 Beautiful Remodeled 4 bedroom 2 car garage home with large fenced lot in Gated community! New kitchen with wood cabinets, Stainless appliances, Granite counters, Granite Bar & two large pantries! Spacious floor plan with Marble floor living areas & New carpet in bedrooms! Large Master bedroom with two huge walk in closets! New master vanity & New vanity in second bath! Half bath downstairs & loft upstairs! Panel hurricane shutters! Paved open patio in large fenced yard! Great neighborhood with Low association dues that include gate, security, pool, clubhouse, playground, volleyball & basketball!